A Chinese developer says it will build a 21-tower development that will “change the face” of the Ethiopian capital, Addis Ababa. The news comes in a period of high growth for Africa’s second most populous country, whose government has just proposed a budget that is 20% higher than last year to fund development. The scheme will cost $194m (4bn birr), and each of the 21 towers will have more than 20 storeys, Ethiopian News Agency (ENA) reported. 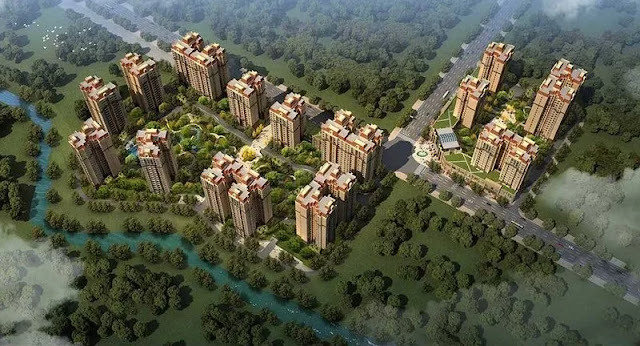 On its website, developer Sinomark Real Estate says the scheme, called Royal Garden, will be the “biggest real estate project in Ethiopia”, and will provide “quality, luxurious and affordable” homes for Ethiopians. Built with help from Ethiopian firm Saba Engineering, Royal Garden will have swimming pools, sport centres, and a commercial zone, ENA reported. It will be built at Gotera, a district approximately one kilometre from Bole International Airport, which is undergoing a major expansion, with a new passenger terminal and Africa’s biggest air cargo hub planned. Ethiopia’s economy is expected to expand 8.6% this year and 8.5% in 2016, compared with 10.3% growth last year, the International Monetary Fund said in its World Economic Outlook released in April. Just today, the Ethiopian government proposed an $11bn budget for the fiscal year to fund development, up nearly 20% from the previous year, Reuters reported. Ethiopia was Africa’s eighth-largest recipient of foreign direct investment last year, up from 14th position in 2013, Bloomberg reported, quoting accounting firm EY. At the groundbreaking ceremony for Royal Garden, Ethiopian President Mulatu Teshome said that real estate projects contributed 12.5% to domestic growth in the past 10 years. He said the Sinomark scheme would create 500 jobs. According to ENA, Sinomark director-general, Yan Sin Li, said the new scheme would be based on “French design” and will “change the face of Addis Ababa”. It would take three years to complete the construction of the real estate, Li said.